My name is Igor, a resident of Dublin. I’m 40 years old. I met Dr. Vladimir 7 years ago. I turned to him in connection with back pain and was treated quickly. This year I had severe pain and swelling in my right knee. Squatting with the injured leg was impossible. more Igor G.
Hello, my name is Hristo and I work as a builder. In the last two years I’ve been suffering from spondylosis. I’ve been in terrible lower back, hip, right leg, right shoulder, and neck pain. I’ve searched for help from various treatments, doctors, X-ray’s, MRI scan, chiropractors, physios. A friend of mine told me about Vladimir and I decided to visit him. I’ve had a few treatments and I found him very therapeutic. It worked absolute miracles on me and I’ve been happy with him. The first day was very painful but with every visit I felt better and better! He has more or less cured me and I had most success with him. He’s also given me some homeopathic remedies and along with his treatments I found him to be the only thing that gave me any relief. I’d recommend him to anybody, because I think that the treatment is fantastic. My pain has disappeared and I feel a lot better. Thank you! Hello. 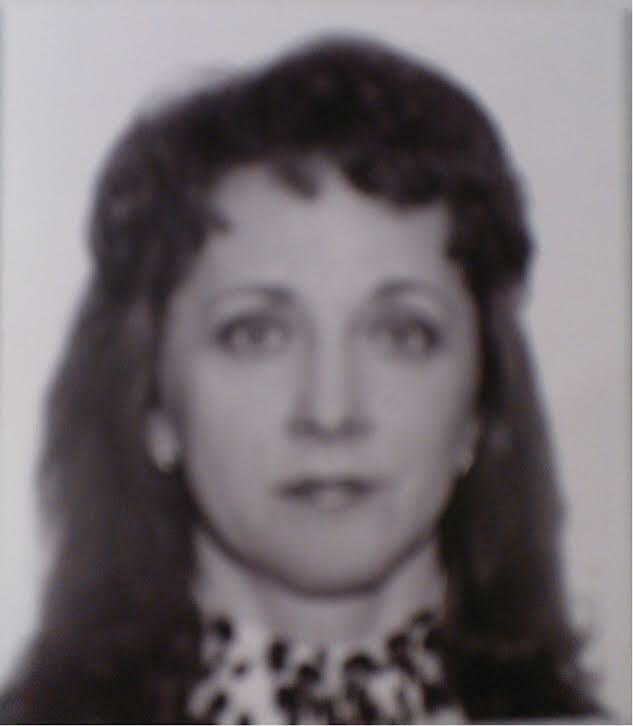 My name is Wilma Bartkyavichene, I am from Lithuania, I am 43. For the last 8 years I live in Ireland. I work as a cleaner, which is not a complicated job, but rather difficult physically as I have to bend and move around a lot, shift heavy containers and carry heavy objects. In the last couple of years, I have been suffering from the pains in my legs and hands. I used to take tones of painkillers and antibiotics, but they had no effect. A friend of mine insisted that I visited a manual therapist, doctor Vladimir Tolkachov. I was very skeptical about the a treatment but very soon realized that I was wrong. After the first manual therapy session my pains reduced significantly – I could not believe that such a relief was ever possible! Now, with every new visit I leave part of my pains behind. I would be delighted to recommend this wonderful doctor to everyone. Without access to any chemical elements, he performs miracles. Hello, My name is Laima and I’m 52 years old. A year ago my doctors found a herniated disk in my lumbar spine. This diagnosis was then proven once more using magnetic-resonance investigation. Doctor-consultant recommended a surgery followed by painkillers, anti-inflammatory tablets and massage. The massage treatment did not bring me any relief. The medication I was taking for a year but my overall health didn’t improve. The pain was always there, sometimes it was even too much to bear. I couldn’t get up the stairs, bend or walk without being in pain. After a while, in addition to my lower back pain, a new pain in the interscapular region appeared. After work I was ridiculously tired and just wanted to stay lying down. I completely lost all hope that the pain would ever go away in my life. From my friends I heard about Dr. Vladimir. I have been going to him for the past two months and can honestly say that he had created a miracle. Immediately after the first manual therapy session the pain in the lower back and interscapular region reduced. I began believing again that I can make a full recovery again. Now I am full of energy again. Along with the lower back pain, the headache that I had every fortnight, where no painkillers could take it away, is gone too. It is so amazing, nothing hurts. I am very thankful to Dr. Vladimir. He really helped me make this debilitating disease recede. I am thankful to fate for giving me a chance to meet such a great specialist that really knows his work. Thank you, Vladimir! If you have any doubts – leave them behind. Faith should always be there, that’s what Dr. Vladimir said and I believe him. Lithuania - Ireland 04.01.2015 Laima. "Dr.Vladimir is very professional and really talented. He helped me and my children with spine problems and with problems of gastro/intestin.system. He also helped me restore my hearing after a trauma and is very delicate and highly professional/ I would recommend Dr. Vladimir to everyone who has bone- and joints problems." My name is David Lawlor. I injured my back 15 years ago and visited many consultants throughout the years who pretty much told me that my back will never be right since I have extensive disc damage and that pain killers are the only option going forward. In November 2016 I developed the symptoms of numbness in my left side (left arm and left leg), severe back pain and shooting pains throughout my body. I had absolutely no energy and had to give up my work. MRI scan showed 6 damaged disk and nerve compression. I visited hospitals, consultants who told me once again nothing they can do for me and that I am very unfortunate that I have damaged lower and upper back with nerve compression. I got prescribed more pain relief tablets and to be honest I didn’t bother taking them because they don’t work for me. The consultant also mentioned I will need the surgery when the symptoms worsen. This was a very hard reality and simply not an option to be bed bound at the age of 44. I was lucky to meet Vladimir in January 2017 who gave me hope that my back can be made right again without any surgery. After a few sessions I started getting relief from pain and the horrible feeling of numbness was gone, my energy levels slowly returned. I can truly say now in May 2017 I am 100% better. Four months of two- three sessions a week made a miracle and I still continue to see Vladimir on regular basis. Vladimir is a god sent doctor who is a true professional and his hands do perform miracles. I highly recommend him. My name is Ellina Nolan. I came to Vladimir about 2 months ago with lower back and hip joint pain and general stiffness in my body. I am a dancer and these problems affected this activity, which is very important to me. Doctor Vladimir started working on my back and neck and I clearly felt positive dynamics after the first session - pain subsided and my body flexibility increased. Now after about 9 sessions I can dance for hours without feeling of pain or any other discomfort. Vladimir also suggested that my high blood pressure is mostly due to problems in my neck section of the spine, so started working on it too. My blood pressure significantly came down after the first 10 minute manipulation. It is very close to normal now. As a positive side effect of Vladimir’s work my appetite (especially in the evening) is under control and I don’t feel hungry after a late dance class anymore. I am very grateful to doctorVladimir and can recommend him without hesitation as a highly professional therapist, who works on the cause of the problem, and not only on the symptoms.